The Lake District region is primarily adored for its scenic splendour and most visitors come keen to enjoy nature and outdoor activities. 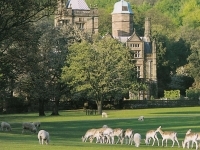 A holiday in the Lake District offers visitors a range of activities, from bird watching, lake cruises and gentle strolls, to mountain biking, water sports and hiking. The region is home to Scafell Pike, which at 3,209ft (978m) is England's highest peak. 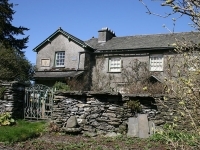 There are also plenty of market towns, galleries and museums worth visiting in the Lake District, including Dove Cottage and Wordsworth House - both one-time homes of local poet William Wordsworth - and the charmingly preserved former home of Beatrix Potter. 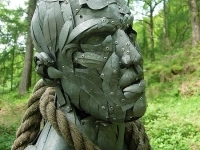 The region is still known to inspire many artists and those in search of a creative jolt will not struggle to find painting, photography and writing retreats on offer in the Lake District. Those in search of ancient sites and castles will also be spoilt for choice. 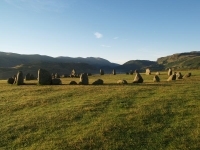 The mysterious ancient stone circle of Castlerigg is one of the region's most enthralling attractions, and as the Lake District was once a military outpost for the Romans the remains of many old forts can be explored. There are also an impressive number of Norman and medieval castles and although many of them are now ruins some visitors find this simply adds to the romance. 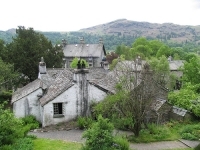 For grand estates travellers should visit homes like Holker Estate and Wray Castle. We are looking for contributors for our The Lake District travel guide. If you are a local, a regular traveller to The Lake District or a travel professional with time to contribute and answer occasional forum questions, please contact us.